Their product line is now bigger and better than ever, so make sure that you check out the new products they have been developing. They are dedicated to helping you attain your physique and fitness goals – whether you want to get stronger, bigger, leaner or faster, you’ll find we have the right nutrition solution for you. They products not only work, they are also the best tasting products on the market. Their world famous Lean Body products have won coveted awards including the NNFA People’s Choice Award and the American Culinary Institute’s Gold Taste Award, not once but several times over. 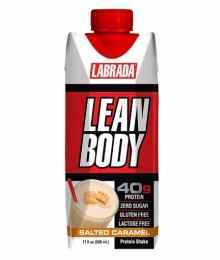 Labrada’s products are backed by scientific research and studies not hype. When you choose a sports supplement from us, you are selecting a quality product that contains efficacious amounts of active ingredients for promoting optimal gains. Our founder Lee has a long term goal to help others reach their health and nutrition goals. This goal inspired Lee to found Labrada’s name and create his award-winning line of sports nutrition supplement products. We have now become one of the fastest growing privately held companies in the U.S. in recent years.